(1) The case counter reflects 12,339 entries to date. 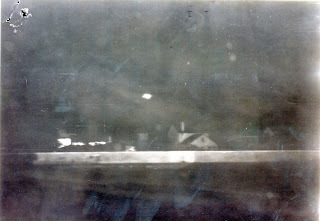 (2) Barry Greenwood sent a 217-item file of photographic UFO cases from the archives of Dr. Michael Swords. Both images and reports are being added to our digital database and physical records. La Carreira, April 1966. Credit: Spanish Air Force/Ballester Olmos archives. Was There a UFO Retrieved at La Graña? But far from true. A few unbeknown cases came to light through the cooperation of international colleagues. Now, the indefatigable Kay Massingill, has found no less than a trio of new gems. Nothing out of the world if we think of the items as possibly related to the ETH, rather to the psychosocial scheme of the things. Let us see what we’ve got. The Australian Daily Telegraph of Sydney of June 16, 1954 inserted a news item which also carried the solution plainly in its title: “Flying Saucer (Imaginary). Hoax picture was ‘taken’ in boarding-house room.” It was accompanied by a photograph that will be familiar to many readers. As any reader will have realized, the resemblance (i.e. inspiration) of the UFO fake was one of the saucers made by the infamous US contactee George Adamski. The second case rescued from oblivion is dated January 10, 1954, also from Down Under, now in Blackwood, South Australia. 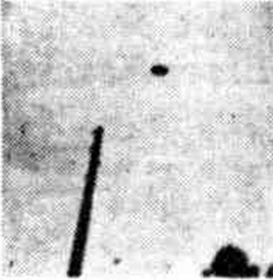 The edition of the daily tabloid The News of Adelaide of January 14 reproduced a crude snapshot of a disc-shaped odd spot appearing above a telegraph pole, a “flying saucer” according to the cameraperson, a certain Miss L. Buckley. She had submitted a letter to the newspaper which read in part: “Herewith authentic photograph of a flying saucer seen over Cliff Street, Blackwood, on Sunday afternoon.” But it added a revealing Post Scriptum: “We’re one saucer short in our crockery set now.” Of course, the journal had a staff comment to close: “I respectfully suggest that Miss Buckley has as much chance as her famous namesake of winning the Mail’s £100 award.” Probably a couple of clarifications are in order: William Buckley (died 1856) was an English convict transported to Australia who escaped and lived with aboriginal people until reincorporated to the society. Wikipedia explains that “Buckley's improbable survival is believed by many Australians to be the source of the vernacular phrase "you've got Buckley's,” which means "no chance". Secondly, the Mail (now Sunday Mail) is an Adelaide newspaper covering weekend sports. Like other press outlets in Europe, this journal established a prize in cash to anyone who provided a true picture of a flying saucer. Also, the Melbourne Argus offered £1000 for the first fully authenticated picture of a flying saucer taken in Victoria. “It clocked in at 8:35 last night,” the periodical reported, when a flying thing attempting a landing struck a traffic signal and went winging into the side of a tavern at 160 Pavonia Avenue. Three local men standing at the intersection with Henderson witnessed the phenomenon. All of a sudden: “Whoosh…The ‘saucer’ zoomed past them and into the side of the building…Upon closer inspection, it had a striking resemblance to that of a crumpled bread box,” the Journal wrote. Apparently, it had been kicked up by a passing motorist at “90 miles an hour down Henderson Street.” The thing was white and decorated with the portrait of a large red rose. 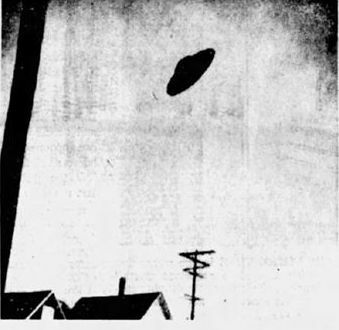 The paper’s editor -not knowingly- anticipated that this “saucer probably may set the 1954 fashion for flying saucers all over the world.” Little did he know that in the months to follow, such a magnificent volume of UFO reports, including lots of alleged “real” landings, would be spread in Europe and abroad. Recently I happened to find this item: https://theconversation.com/are-we-alone-the-question-is-worthy-of-serious-scientific-study-98843 It immediately evoked in me some thoughts and reactions. Speculative and utopian thoughts are free. Be you a laureated scientist, an amateur science-lover, or a layperson. Kevin Knuth is an associate professor of physics in the University of Albany in New York. In the online journal The Conversation of June 28, 2018, he posited the old question “Are We Alone,” for a self-reply. I was amazed to read unproved statements such as: “Humans are fearful of extraterrestrials visiting Earth.” Why does he imagine that this social behavior is the ordinary, widespread one? Is he speaking of the US society, the Asiatic world, or the European community? The truth is that people go en masse to watch sci-fi movies where extraterrestrials come to our planet. People are more than familiarized with the concept. I would even bet that sympathy towards the concept is more generic than antipathy or fear. Someone should make a poll of citizens: are you afraid that we find intelligent life in the universe? Or even a more direct one: “Would you be afraid if friendly extraterrestrials arrived on the Earth?” In my opinion, most people would be seduced by the possibility. Perhaps not in the same proportion in Scandinavia as in the US conservative States, yet globally speaking I am certain that curiosity and expectation would overcome apprehensiveness. The boring Fermi paradox is also brought up. If, in theory, there are lots of technologically advanced civilizations in our galaxy, why have they not contacted us yet? Damn! Because of the distances and speed limitations. Or because they have not found us. Or because we are uninteresting. Or dangerous. There are so many responses. Matter-of-factly, there is no need to invoke the idea that the lights in the sky some persons misperceive are the missing alien spacecrafts. Author Knuth seem to feed from rumors: “Many governments around the world have covered up and classified information about such encounters,” he writes. Yes, during decades governments were unable to handle population’s UFO reports, and the military responsible for the air space closed the data under seven keys. By pure ignorance and a brute tendency to use the SECRET stamps. But this is already history. Even a physics professor must do his homework. 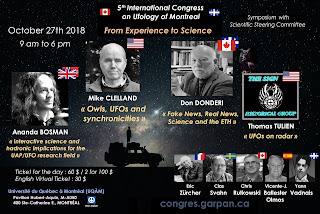 In the last years, many nations have disclosed their entire UFO archives and placed them in the public domain, as nothing scientifically extraordinary has been detected, including no threat to national security or flight safety. The article I am commenting on, however, conveys the wrong impression that governments know more than they declare. The conspiracy fable moves on. For me, to disseminate false, unconfirmed information is unforgivable for a member of the education collectivity. “The UFO topic is a taboo,” Knuth goes on to affirm. This is another fad. Has he probed the history of ufology? He should be aware that many respected scientists have studied or tackled the UFO mystery along the years. 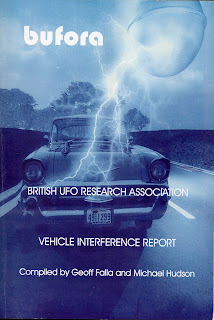 Mainstream periodicals like Science or the Astrophysical Journal have published about UFOs. There must be over 50 UFO books written by scientists. A few hundreds of Ph.D. theses and other university dissertations have covered the UFO problem worldwide. Is this a taboo theme? Come on. Quite another thing is that scientists, once they have reviewed the authentic level of evidence in existence, end up convinced that there is nothing that can advance current scientific knowledge by plunging into UFO reports. If a given subject is dismissed by established science workers, it does not mean it is taboo, it is simply that it is recognized as unexploitable, useless, or dumb. Who in the professional world would avoid a subject which potentially could bolster one’s career? Unless it is gauged not to render any intellectual profit if you are a physical or natural sciences investigator. But the extreme of illogical thinking is found in another sentence: “I think UFO skepticism has become something of a religion with an agenda.” Who is speaking here, a university professor or a member of the Exopolitics sect? Is the rational, down-to-earth, canonical approach a belief? Is now William of Ockham convict to the stake? Not the preposterous claims, not the wild contacts, not the absurd interpretations of cases, not the sensation-seeker and money-seeker motivations? I do not know which world you are living on, Mister. The last part of this biased text has to do with government information. The information we find in this section is superficial and poor. It would be acceptable as an initial work for alumni but not for a professor. Knuth exclaims: “If there are indeed extraterrestrial craft visiting Earth, it would greatly benefit us to know about them, their nature and their intent.” A perfect idea. Only that it comes 70 years late. In all this time, no flying saucer visits have been substantiated. On the contrary, most of the big, important, classic cases that served to sustain the ETH have proved solvable. Other unknowns arise from bad observation, limited data, or misleading preliminary study. If someone disagrees, I invite them to submit the evidence to any major scientific journal. Referees will be glad to check and verify the evidence. 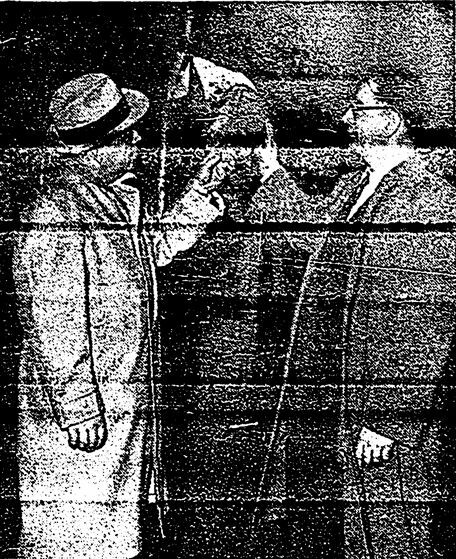 The Boston Globe (Plymouth county, Massachusetts) of November 2, 1966 reports about this picture offered by a local man who claimed to have seen and photographed a UFO on previous October 26. 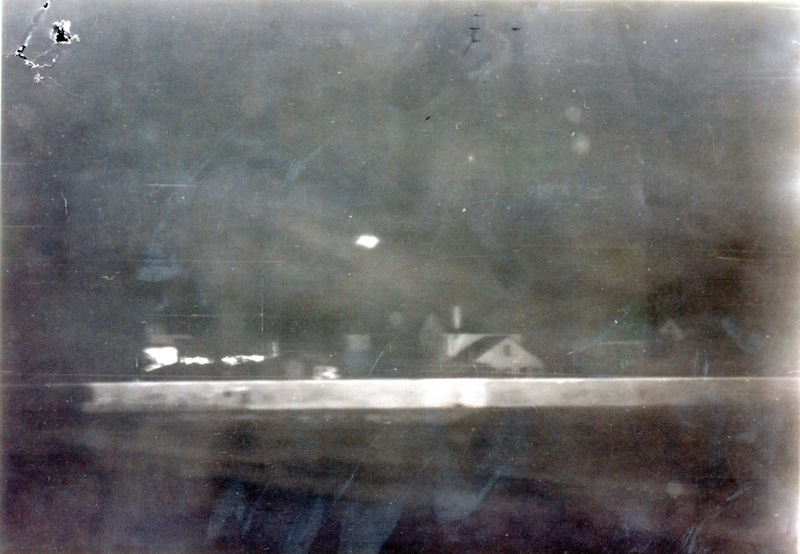 His “evidence” is a small snapshot showing a window frame, the roofs of two nearby houses and a wooden utility pole. Above the houses is a saucer-shaped object. He said the flying contraption hovered in the vicinity, a quarter-mile from Plymouth Center, around 5 p.m., and remained long enough for him to grab his camera and take a photo. 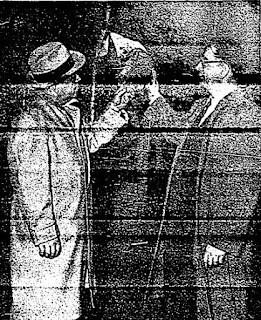 “Ostracized by his neighbors, unbelieved by his family, the man, who wishes to remain anonymous -the newspaper writes- told only Stephen Putnam, of Bossy Lane, Scituate, about the sighting.” Of course, because he would be more than willing to listen and believe: Putnam is the president of the New England UFO Study Group. My assessment goes right to the bone: the image simply features the cutting of a typical flying saucer (oval-shaped with a cupola) pasted on a window pane and snapped through it. I thought to myself: if someone disagrees, please prove it is an interplanetary visitor! 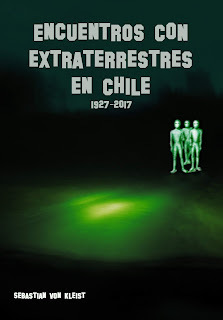 But I decided to have a second opinion from one of the few gurus of UFO photography, the Chilean chemist Andrés Duarte. “I fully agree. I think this is the most plausible explanation.” This case has been opened and closed at the same time. It just becomes another line for any IFO catalog. And, of course, a new entry in FOTOCAT. For decades, social scientists have explained the emergence of flying saucers in 1947 as a by-product of the cold war context. They claimed that people were influenced by cold war and "saw" Russian flying disks while the rest of the population, scared by the context, believed in the reality of these saucers. In this paper, I show that the explanation in terms of cold war influence does not explain the situation. For several reason. First because people in 1947 were not afraid of saucers, they spent their time making jokes about them. Only 1% of the people interrogated for a Gallup poll on the subjects mentioned the Russians as an explanation. This fact can be clearly understood when we compare the flying disks wave of 1947 and the ghost rockets wave on 1946 in Europe. We see that the reactions to the two events were very different. While Europeans took very seriously the existence of ghost rockets on 1946, the American public didn't take seriously the disks in 1947! We may therefore think that the cold war explanation works for the ghost rockets and not for the disks, but the situation is a little more complex. This cold war explanation should be discussed for a second reason: sociology and social history cannot use explanation in terms of influence because social actors are not sponges that absorb the context: they define it, they discuss it, they chose among the elements from that context that they will take seriously and that they will reject. Social studies of subjects like UFOs as a lot to learn from the tools developed by social students of science. Based on a review of recent CE IV explanations in the literature the author distinguishes, from the point of view of the analytic philosophy of the social sciences, four different types of hypotheses: The first, naive-realistic hypothesis of actual alien abductions seems indefensible due to a lack of evidence. If -from a pragmatic point of view- a multi-faceted explanation is considered, the second, psycho-reductionist hypothesis could serve as an explanation for the neurophysiological mechanisms of the experience. This mode of explanation could apply to personality traits of experiencers. The third, constructionist hypothesis -with concepts such as archetypal imagery, synchronicity and imaginal realm- includes the sociocultural dimension (actualization of depth-psychological potential) and societal situation of the mainly Anglo-Saxon experiencers. The fourth hypothesis, that of a “Universal Consciousness”, or a “Mind at Large”, is not scientific but metaphysical and therefore untestable. In the past, the negative about the possibility of extraterrestrial intelligences coming into contact with the humankind was due to several factors, but at present, there is evidence from several fields challenging this mainstream. We hypothesized that authentic Close Encounters of Fifth Kind (CE5thK) could probably be happening. We designed and applied an original approach with qualitative and quantitative variables constituting a rule of 12 criterions for defining a high probability, low probability or inconclusive evidence in order to set the authenticity of 72 cases of alleged CE5thK. A high probability was considered as authentic. We found 47 cases to be low probability, none case to be inconclusive evidence and 25 cases to be high probability to be an authentic phenomenon. Using an original approach, we found evidence to support that advanced contact from ETI with human beings probably is happening on the Earth at present. Additionally, in these authentic CE5thK cases, there are important and revolutionary information with amazing potential for our society in several fields of knowledge. I was shocked and saddened to hear of the passing of my colleague Prof. Michael Persinger. I met him in person only once, but worked with him for many years by email, co-authoring a number of papers on earthquake lights. All of his research was cutting-edge and most of it controversial, but he persevered and opened new frontiers. He was always generous in sharing authorship with collaborators and leaves many students to carry on his work. I valued our distant friendship and will miss our semi-annual exchange of solstice greetings. The report devotes mostly to the Russian instrumental optical observations, which were carried out in Arctic and Antarctic regions in last decades. In this report, we describe typical equipment for observations of aurora and airglow during dark and twilight time, including the hyper-spectral camera designed together with Norwegian scientists in frame of the joint NORUSKA project. Glowing of the exhaust products of rockets and man-made aurora are also under consideration. We discuss their common features, appearance, visual outline, general properties and physical mechanisms. Routine ground-based all-sky cameras, spectrographs and, later Low-light TV and CCD all-sky cameras were used during many years to collect data for natural and artificial “auroral” phenomena. A number of interesting pictures have been collected by amateurs and analyzed as unusual atmospheric phenomena. The Polar Geophysical Institute (PGI) was a leading organization for investigation of optical aurora, many abnormal atmospheric phenomena were observed through its many observation points. I propose that the flying saucer summer of 1947 and the Roswell Incident itself were the outcome of deception operations perpetrated by the United States against the Soviet Union in what were the opening shots of the Cold War. Fought in the shadows and protected through obfuscation for over 70 years – it is time for these operations to be revealed to the public and for the history books to be rewritten. Up to now we have the alien, Mogul balloon, meteorite, and governmental operation readings to interpret the Roswell incident. More to add to this ceremony of confusion? Time and time again, UFO witnesses have consistently reported an inexplicable loss of vehicle engine power, radio signal, electrical function or interference in compass orientation whilst in proximity to an anomalous object or light. On behalf of BUFORA, Geoff Falla and Michael Hudson have carefully complied such vehicle interference incident summaries fully sourced and referenced. In doing so, they have presented us with a compelling case for the reality of at least one tangible aspect of an otherwise elusive and controversial subject. What these bizarre interference effects may ultimately represent is open to debate, but the inescapable fact is that in each case highlighted in the publication something that we do not yet fully understand has left a distinct and scientifically measurable footprint. 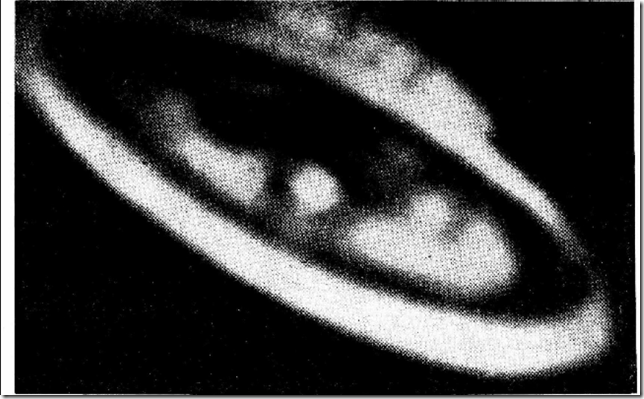 A book which features pictures of alleged UFOs, from the nineteenth century up until today, that have been analyzed by computer, certainly attracts much interest. What can be done with the power of a modern computer to investigate these remarkable UFO pictures? UFO Photos - Computer analysis of worldwide UFO images through the decades - Jason Gleaves. The hope, of course, is that in this book we get a lesson in how the computer finds explanations in these images, but very soon we learn that this is not the case. Try as I might, I cannot understand the purpose of this book. I have many years in the field as an investigator of strange events and, for me, the aim of investigating is to find underlying explanations, but here I don’t find much of that. If the purpose of this book is to show that the author is good at using a variety of features in Photoshop, then Jason Gleaves succeeds very well. He must have devoted a lot more time to fixing the images for the book, than to do real analysis that might dispel some mysteries. Pretty soon you will see a pattern, unfortunately not in the images analyzed, but in the arrangement made by the author. First, we get rudimentary background information for each image he intends to analyze. It is then followed by a series of changes by using Photoshop, where digital images are adapted to fit in the book. I miss the photos' stories and an analysis of what the whole image tells and what seems strange. The people behind the camera, what is there to tell about them? There is much that we lose when the author chooses to focus only on the image and its technical structure, not the actual information you need to solve a puzzle, if there is one. Pictures from famous cases, well researched by others through the ages, are presented again, but without adding anything useful. Gleaves’ conclusion is "unidentified" in virtually every case he takes up, and he sometimes resorts to speculation and wishful thinking. One may wonder what computer analysis has to do with it, for me it's just false advertising. In this case the computer can do nothing. It is in fact the author who is manipulating these images, and such “computer analysis” is no excuse for avoiding a very basic level of real investigatory work. Photoshop is not a magical instrument that gives you the missing information on an image, but if correctly used it can contribute as a tool in the process leading up to a possible explanation of mystery images. How good you are at Photoshop, means little if you do not know much about the rest of the way the world works, when it comes to investigating UFO reports. A strong interest in UFOs and Photoshop skills alone will not make you a good ufologist, nor is it a quick way to find explanations easily. This requires significantly more work, possibly even forcing you out in the field. Jason Gleaves surely has many strings to his bow, but this is one book he should not have Photoshoped - I mean, written. Is there nothing positive about this book? Yes, on page 117, in which he writes what should be contained in a report form for those who wish to report their sighting. Of course, many of Gleaves’ reporting recommendations do make sense; unfortunately, his own method is no more than a conveyor belt of images passing through the assembly line of Photoshop. All UFO cases are unique and must therefore be treated according to their conditions. Conclusion: Avoid this book if you can. Although it's thin, it's unfortunately a waste of time to read it or even to look at the pictures. This book will only make you disappointed; you might as well see the pictures on the Internet and make up your own opinion. I’m still convinced that Jason Gleaves can do a better job with his next book, when maybe he will have learned his lesson, and can step out of the Photoshop box. 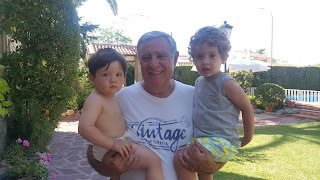 (2) Grandsons grow. Lucas is on the right in this photograph made last July during summer vacation. By his side is Fernando, my other grandchild. Despite those precious family duties, I still must seek time to continue working on a subject about which we are so passionate. To the following colleagues who have sourced material or analysis to the current edition of this blog: Edoardo Russo, Jim Oberg, Tim Printy, Matías Morey, Kay Massingill, Keith Basterfield, Barry Greenwood, Enrique Márquez, Philip Mantle, Pierre Lagrange, John Derr, Tobias Lindgren, Sergey Chernouss, Isaac Koi. (1) El contador de casos del catálogo registra 13.339 entradas a esta fecha. (2) Barry Greenwood ha aportado a este proyecto un compendio de más de 200 casos fotográficos de los archivos del Dr. Michael Swords. Los Informes e imágenes están siendo añadidos a FOTOCAT. 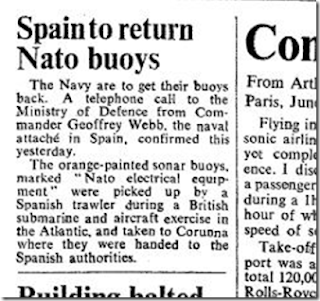 La Carreira, abril de 1966. Fuente: Ejército del Aire/Archivos Ballester Olmos. “Magnífico trabajo y acertadísimas conclusiones” – Alejandro Anca Alamillo (Documentalista naval y coautor del libro La Graña - La Cabana. Base e industria naval 1726-2015). 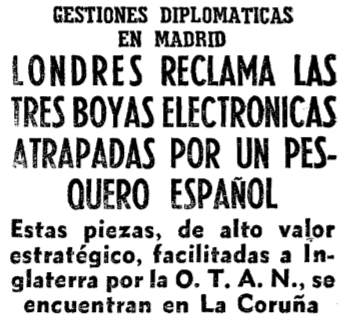 He escrito para la sección en inglés de este blog (ver arriba) dos entradas que, traducidas, llevan estos títulos: “La inagotable oleada de 1954” y “Una foto ovni de 1966 recién encontrada”. Tratan de cuatro fotografías ovni desconocidas, halladas en diarios locales de Australia y Estados Unidos en los citados años. 14 de junio de 1954, Wollongong, New South Wales (Australia). © Alfred Tauber. Este es el título de un trabajo que acaba de publicar Mercedes Pullman, que se perfila como un brillante y relativamente reciente “activo” de la ufología nacional. Ucraniana, formada en la Unión Soviética, antropóloga social y afincada hace años en Madrid, estudia el fenómeno ovni desde una perspectiva fresca y profesional. Persona sin complejos a quien le gusta tender puentes entre puntos de vista distantes ‒lo cual dice mucho y bueno de ella‒, nos muestra un estudio social realizado con informes de casos de “aterrizaje” en España, para lo que ha dispuesto de la muestra más completa existente hasta el momento. Para la consecución de este artículo ha llevado a cabo previamente lo que es un capítulo esencial en cualquier tesis científica, la revisión de la literatura sobre este particular, con la cita de ensayos históricos de gran valor olvidados por muchos de los más asentados ufólogos patrios y, lo que es peor, desconocidos o no apreciados por muchos nombres de la periodística ufología emergente. En este artículo se realiza un análisis de la distribución geográfica de la localización de los informes de presuntos avistamientos OVNI en España desde el año 1900 hasta el año 2012. La muestra es de 975 casos de “aterrizaje” procedentes de tres catálogos construidos por V.J. Ballester Olmos y sus colaboradores J.A. Fernández Peris y José Antonio Cezón. Con este trabajo se pretende determinar de qué provincias españolas proceden los informes de dicho fenómeno y su relación con la demografía. Me sorprendió y entristeció conocer el fallecimiento de mi colega, el profesor Michael Persinger. Lo conocí en persona solo una vez, pero trabajé con él durante muchos años por correo electrónico, siendo coautor de varios documentos sobre luces de terremotos. Toda su investigación fue de vanguardia y la mayor parte generó controversia, pero él perseveró y abrió nuevas fronteras. Siempre fue generoso al compartir la autoría con sus colaboradores y deja a muchos estudiantes que continuarán su trabajo. Valoré nuestra amistad distante y extrañaré nuestro intercambio semestral de saludos de solsticio. (14) ¿Quién es Nick Pope? 1. Vicente-Juan Ballester Olmos, "Cuatro generaciones", en Expedientes insólitos, Temas de Hoy (Madrid), 1995, páginas 237-254. El trabajo de recopilación del autor ha sido soberbio, no en vano le ha llevado 16 años (con interrupciones, claro). Es una pieza historiográfica mayúscula, que, con seguridad, jamás será superada y surge como la más completa cronología de las narraciones de presuntas apariciones de seres humanoides vinculados a platillos volantes que se han posado en tierra. Menos mal que este blog lo leen mayoritariamente estudiosos del fenómeno ovni, o lo que es lo mismo, el desarrollo de la increíble leyenda convertida en creencia de que estamos siendo visitados, interpelados, preguntados, raptados, violados o examinados por sujetos que llegan a la Tierra en naves procedentes de ignotas galaxias. Nada menos que desde 1947, sin que hasta el presente exista ninguna prueba fehaciente, y sí cientos de miles de contraargumentos, tantos como “experiencias” resueltas convencionalmente. Porque otros nos dirían: “¿Pero en qué planeta vivís? ¿Qué os gusta escaparos de la roma realidad y crearos un mundo paralelo? Menuda excusa para no afrontar los problemas económicos, sociales o políticos de nuestro entorno. Como dedicáis vuestra vida a temas esotéricos, paranormales, mistéricos, novelescos e imaginativos, que son más de fe que de razón, abandonáis vuestras responsabilidades civiles y ciudadanas y os sumergís en un mundo de fantasía y de ficción que se supone satisface vuestras inmaduras expectativas vivenciales”. Y no les faltaría razón. Volviendo al trabajo que nos ocupa, el libro que quiero reseñar es para ufólogos especialistas, sí, pero también para aquellos científicos sociales que quieran analizar hasta qué punto en extensión y profundidad llega el contenido y evolución de este tipo de narración contemporánea que sitúa ‒imaginariamente‒ a una persona normal en una esfera utópica y delirante de relación con seres venidos de otros mundos. Y, naturalmente, para lectores intelectualmente curiosos con las fábulas que convecinos y sujetos que nos rodean diariamente cuentan al menos una vez en su vida acerca de su confluencia con entidades de otros mundos. El libro ‒a ver si entro en materia de una vez‒ comienza con un texto que no tiene desperdicio, como todo lo que sale de la pluma del químico y ufólogo escéptico mejicano Luis Ruiz Noguez. Todas las frases de su acertado prólogo conllevan la profundidad del veterano estudioso y sabio pensador: “Por todo lo que sabemos hasta el momento, en el así llamado fenómeno ovni no hay nada fuera de las leyes naturales; no hay viajeros de las estrellas que estén visitando la Tierra utilizando naves que viajan a velocidades supralumínicas…ni abducidos que tengan tiempos perdidos” (p. 16). Mi reseña debería ser del libro de Von Kleist, pero no puedo sino resaltar otra máxima magistral de Ruiz Noguez, cuando señala a continuación que “La ufología es la novela más grande del género humano, es la novela completa, total”. Es una aseveración absolutamente pertinente. El autor de la obra nos advierte ya desde su introducción: “Los reportes suelen carecer de información básica” (p. 23). En tales condiciones, ¿cómo evaluar objetivamente los relatos? Una encuesta particular con los relatores de los encuentros marcianos sería necesaria para repudiarlos, pero eso requeriría una profesionalización que solo ejercitan aquellos que explotan su lado efectista y sensacionalista. En Chile y en España. Pero, como se comprueba durante la lectura del libro, el castillo de naipes de los chismes que se cuentan se derrumba por sí mismo con el propio repaso de los incidentes. La falta de lógica, la irracionalidad o la idiotez emergen enseguida. El autor inició este proyecto en 2002. Alabo su tenacidad. Y se ha encontrado con muchas sorpresas, de las que ha aprendido, como comprobar lo absurdo y heterogéneo de la casuística misma. Y no es lo único que ha constatado. Por ejemplo, cuando enfatiza que “un aspecto que es relevante mencionar es la nula capacidad crítica de los periodistas” (p. 28). Matiza, claro, que no quiere insultar a nadie. Pero es un hecho objetivo que se aplica a los periodistas del misterio. Tranquilo, autor, lo mismo ocurre en España. De la página 33 a la 314 (de un total de 366 páginas), se enumeran y pormenorizan 231 casos presuntamente habidos entre 1927 y 2017. No hay apenas dos “encuentros” iguales, ni dos ovnis idénticos, ni dos pilotos afines. Cada informe es, como decimos en España, “hijo de su padre y de su madre”. O sea, fruto de la fértil imaginación de cada cual. Y, no lo olvidemos, esta es la supuesta evidencia del fenómeno ovni en su mayor grado de intensidad. No es la luz que un piloto de vuelo comercial o de un caza distingue en el cielo nocturno (o sea, Venus, un bólido…o las llamaradas de la refinería de Escombreras). Aquí hablamos del descenso de astronaves procedentes de lejanos sectores del universo que transportan entes que se comunican con los seres humanos. ¡Ahí es nada! Uno solo de esos casos verificados supondría la mayor noticia desde la muerte de Cristo, ابو القاسم محمد ابن عبد الله ابن عبد المطلب ابن هاشم القريش o Gautama Buddha. Pero, no. No hay pruebas de nada. Solo palabrería. Y necesidad de creer. Y realizadores en medios de comunicación explotadores de ensueños y entelequias. Hay casos que se revelan claramente fraudulentos, otros se adivinan por el contexto, para otros se ofrecen sólidos alegatos que anulan la verosimilitud de lo contado, en otros la simple lectura de lo que se supone que aconteció aconseja reírse (o llorar), otros son descaradamente deficientes o incoherentes, en otros “se les ve el plumero”, otros se descalifican por sí solos o se dan claves que los hacen más que dudosos, patéticos. Pero hay otros (por ausencia de información/investigación) que quedan en el aire. Es una lástima, pero resulta inevitable, ya que la tarea de re-investigación de casos, sobre todo si son antiguos, es ardua y consume enorme cantidad de tiempo, como sé por propia experiencia1. Los académicos que se ocupan más o menos regularmente de este tema se deben mayormente a sus trabajos profesionales, no a entrevistar a sujetos que desvarían. Hay casos en este inventario que solo contienen la relación o semblanza de los “hechos”, sin crítica, revisión o investigación. En ese sentido el trabajo queda algo cojo. Probablemente no era el objeto del proyecto en el que el autor se embarcó al comenzarlo, pero nos resistimos a tener que asignar la etiqueta de “sin explicación” a bastantes de estas aventuras, a buen seguro ilusorias o falaces. 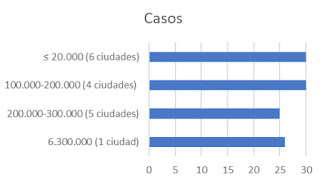 De otro lado, sin embargo, la presentación ordenada de los casos debe incitar a investigadores locales a la re-encuesta racional de algunos de estos episodios para los que todavía no hay impreso el sello de “resuelto”. Es un reto para los ufólogos serios de Chile. Yo los animo a ese empeño. No lo voy a negar, he echado en falta al menos un capítulo de tratamiento estadístico de los datos. Si la información fundamental de cada episodio se hubiera informatizado, tendríamos tabuladas las respuestas a muchos interrogantes: ¿en qué monto los testigos hombres superan a las mujeres y porqué la visión de platillos volantes no se atiene a la universal proporción de género?, rangos de edades, profesiones, actividad en el momento del acontecimiento extraterrestre, categorías de explicación, duración de los sucesos, formas y tamaños (tanto de los objetos portadores como de sus tripulantes), y, en fin, muchos otros pormenores. El hecho es que el autor no lo ha hecho y punto. Ahora bien, si los resúmenes de los casos recogen ‒como esperamos y creemos‒ toda la información importante, entonces cualquier estadístico o investigador familiarizado con las técnicas correspondientes puede hacer un trabajo de diferente nivel que a buen seguro aportará elementos de interés. Invito a ello. El autor, es verdad, dedica las páginas 315 a 320 a elaborar unos cuadros “para hacernos una idea de qué relación tienen estos casos con las oleadas que se registraron en Chile en las últimas décadas”. Destacan (con más del 5% del total) los picos de 1968 y 1978. Con algo menos, 2000, 2001 y 2004. Curioso. Cuanto más evidente se hace (por el infructuoso paso del tiempo) la ausencia de pruebas trascendentes de ovnis extraterrestres, más numerosos son los casos pasmosos que se nos presentan. Es el influjo de los medios, su caldo de cultivo. El autor refiere que apenas 16 ciudades congregan el 48% del total de casos, o sea 111. Para éstas, consigna el número de casos y su población, así que me voy a permitir analizar esos datos con más detalle. Compruebo que, a excepción de Santiago, que por sí sola aporta 30 casos, en las demás, no importa si son poblaciones con baja cifra de habitantes como de una población media, los casos se reportan en frecuencia semejante: entre 4 y 10 [media de 5] para entidades de población ≤20.000 habitantes, entre 5 y 10 [media de 7,5] para ciudades de 100 a 200.000 habitantes y, finalmente, de 3 a 7 [media de 5] para localidades de entre 200 y 300.000 habitantes. La suma de los casos registrados en las poblaciones menores (seis), medianas (cuatro) y mayores (cinco) son del mismo orden que la de Santiago, como se observa seguidamente en la gráfica que no me he resistido a crear. Nada especialmente notorio excepto quizás que la difusión de las historias es independiente de la población. Como señala el autor, la presencia de ufólogos activos en ciertas ciudades explica el auge de casos allí. Me hubiera gustado también ver citadas referencias bibliográficas ‒al menos la investigación previa en castellano‒ que han tratado el tema de aterrizajes y humanoides. Simplemente para que este excelente compendio no aparezca aislado de sus precedentes. Créanme, no por ver citados mis ensayos y libros al respecto. Quizás, sin embargo, para equilibrar las fuentes de la bibliografía, muchas de las cuales son, por mor de la exhaustividad, lamentables (no por culpa del autor, Dios me libre). Cierto es que, siendo un libro referido a casos de Chile, no hay necesidad directa de mencionar las obras de otros precursores, pero en mi opinión no hay que olvidar nunca la oportunidad pedagógica en nuestros trabajos. Como he dicho, la parte mollar del libro la componen los sumarios de 231 incidentes. Ciertamente, es el lector quien tiene que aplicar su juicio crítico para justipreciarlos. Pero ¿en qué sentido? Las cosas se pueden contar de varias maneras. En ufología (ufofília, normalmente), la parcialidad del vendedor de misterios tiende a decantarse por lo enigmático de la odisea, obviando los aspectos que la hacen ridícula o explicable. 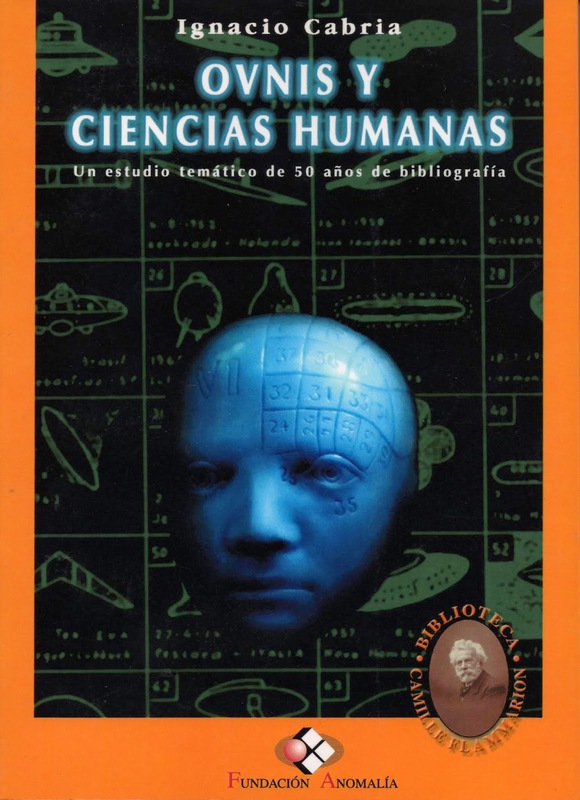 Al contrario, el autor de este libro sabe exponer con inteligencia y sentido común los “sucesos”, destacando lo irregular, anormal e improbable de tales “hechos” y exponiendo los rasgos sobresalientes que diagnostican lo inveraz del caso. Eso, verdaderamente, compensa la falta de investigación de campo. En realidad, quizás la característica más sustancial y preponderante de este libro, es la forma en que el autor narra los casos, haciendo que caigamos en la cuenta de lo dudosas, inverosímiles y excesivas que son las historias apiladas en este volumen. A mí me ha cautivado ese estilo. Historias, muchas de las cuales proceden de personas seguramente necesitadas de ayuda psicológica o psiquiátrica, aventadas por personajillos que medran con ellas. Pero, sea porque medió una dictadura y mejor alzar la vista al cielo y no a lo que pasaba a ras del suelo, o en tiempos de democracia por la necesaria libertad de expresión, los que inventan, los sugestionables, los confundidos, los que avivan fraudes y los que no saben lo que vieron de veras, tienen vía libre para exponer sus ensueños e ilusiones y, a su vez, ejercer un efecto cómplice, multiplicador e influyente, corrompiendo mentes débiles. Ello augura una continuidad del “fenómeno extraterrestre” que, como he escrito en alguna ocasión, solo procede del espacio interior. Comprobamos también como media docena de ufólogos chilenos, que desvarían tanto como los supuestos testigos de tantos vis-à-vis con marcianos, emponzoñan con pésima y tendenciosa literatura y bufonas apariciones en TV la información que leen lectores inocentes y miran cándidos televidentes. Concretamente, la conclusión de algún sensacional caso reciente es muy elocuente, por convertirse en verdadero estereotipo de estas situaciones a nivel mundial. Por ejemplo, leemos en la página 246: Lo sucedido en Las Piñas tiene mucho interés no solo por la explicación, que deja bastante mal parados a los ufólogos mediáticos, sino porque es una muestra de cómo actúa la prensa. Estamos frente a una evidente construcción mediática que sigue el curso natural que se espera de esto: un caso llamativo, su explotación hasta el paroxismo, el surgimiento de nuevos cuentos sin el interés del original ‒pero que sirven para rellenar por un tiempo‒ y la posterior desaparición del tema por carecer de novedad. Añado: son las pautas más descaradas del sensacionalismo en acción, con las que unos pocos se lucran y otros tratan de sobrevivir. Una relación de las 366 fuentes usadas finaliza la obra, que vuelve a demostrar el enorme esfuerzo del escritor en documentarse a fondo, cosa que es poco habitual en esta materia. Digno de un verdadero historiador. 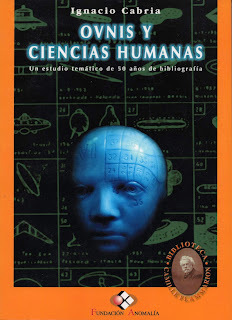 El libro muestra la banda ancha y límites de la imaginación humana. He leído la sucesión de historias como cuando veo una serie de televisión en la que cada capítulo es una variación sobre el mismo tema. El contenido de las historias es a veces divertido, en ocasiones melodramático y siempre simplón. Von Kleist ha hecho una magnífica labor al reunirlas y relatarlas de forma amena, resaltando lo ridículo de las narraciones. Esta ha sido, en suma, una indagación magistral. 1. Vicente-Juan Ballester Olmos y Juan A. Fernández Peris, Enciclopedia de los encuentros cercanos con ovnis, Plaza & Janés (Barcelona), 1987. En 2003, la hoy extinta Fundación Anomalía publicó una obra de inmenso valor: OVNIS Y CIENCIAS HUMANAS. Con el subtítulo “Un estudio temático de 50 años de bibliografía”, su autor, Ignacio Cabria, Licenciado en Antropología Social y Cultural y Máster en Cooperación Internacional, abordó los procesos sociales y psicológicos en los que se producen los informes ovni, hasta su significación cultural. Es, como aclara la contraportada del libro, una revisión crítica, que señala los puntos fuertes y débiles de cada investigación y nos proporciona una fuente insustituible del pensamiento que, desde la Sociología, Psicología y Antropología, se utiliza para mejorar el conocimiento de muchos aspectos de interés en este apasionante fenómeno. Las 307 páginas de este volumen, de lectura obligatoria para quien ose llamarse o pretenda ser investigador del fenómeno ovni, cubren cuatro capítulos que abarcan estos temas: La ufología de enfoque psicosociológico, La Psicología aplicada a las observaciones ovni y a las abducciones, Sociología del fenómeno ovni, y Hacia una topología del tema ovni y extraterrestre. Propongo que el verano de los platillos volantes de 1947 y el propio incidente de Roswell fueron el resultado de operaciones de engaño perpetradas por los Estados Unidos contra la Unión Soviética en lo que fueron los primeros disparos de la Guerra Fría. Escondidas en las sombras y protegidas a través de la ofuscación durante más de 70 años, ya es hora de que estas operaciones se revelen al público y de que se vuelvan a escribir los libros de historia. Hasta el momento teníamos a una nave extraterrestre siniestrada, al globo supersecreto del Proyecto Mogul, a la caída de un meteorito y ahora la operación gubernamental, como lecturas para interpretar lo que ocurrió en Roswell. ¿Hay más que añadir a la ceremonia de la confusión? La actitud científica y el comportamiento cívico requieren el mismo sustrato mental y moral para su desarrollo, y una sociedad verdaderamente democrática presupone necesariamente que los ciudadanos no son aptos para una marcha forzada, sino más bien aptos para pensar. Por lo tanto, es grave ver cómo se desmoronan los fundamentos del pensamiento crítico. El método científico, el Arte de la Duda, es de hecho un verdadero baluarte contra todos los oscurantismos y permite "luchar" contra la violencia que a menudo es la hija de la incultura. Una y otra vez, testigos de los ovnis han informado consistentemente una pérdida inexplicable de la potencia del motor del vehículo, la señal de radio, la función eléctrica o interferencia en la orientación de la brújula, mientras se encuentran cerca de un objeto o luz anómala. En nombre de BUFORA, Geoff Falla y Michael Hudson han recopilado cuidadosamente los resúmenes de incidentes de interferencia de vehículos y sus correspondientes fuentes y referencias. Al hacerlo, nos han presentado un caso convincente para la realidad de al menos un aspecto tangible de un tema por lo demás esquivo y controvertido. Lo que estos extraños efectos de interferencia pueden representar en última instancia está abierto a debate, pero el hecho ineludible es que cada caso resaltado en la publicación ha dejado una huella obvia y científicamente medible. 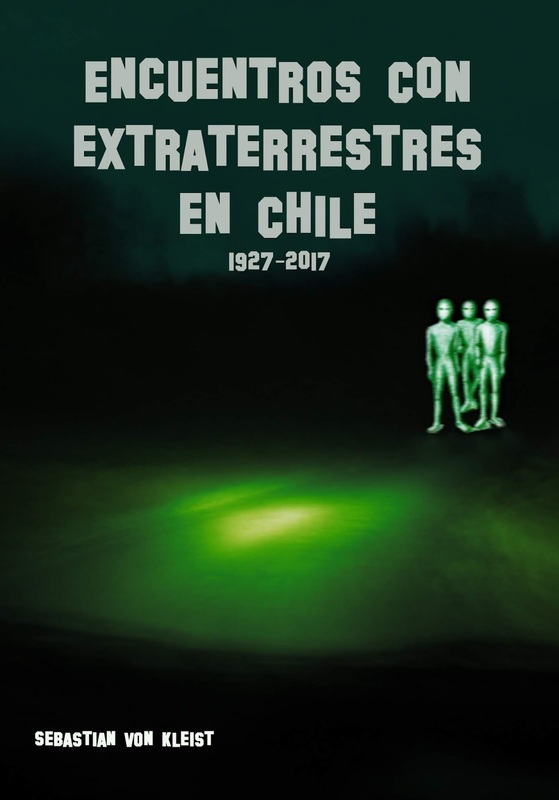 Hace poco me regalaron el PDF de un libro de un desconocido Jason Gleaves, consagrado al análisis “por ordenador” de fotografías ovni (https://www.amazon.com/UFO-PHOTOS-COMPUTER-ANALYSIS-WORLDWIDE/dp/1976779812). La verdad es que me pareció malísimo y, sobre todo, inútil. Le pedí a alguien que conoce el tema que escribiera una reseña, para ver el grado de coincidencia que tenía conmigo y, sin adelantarle nada, le mandé el archivo. 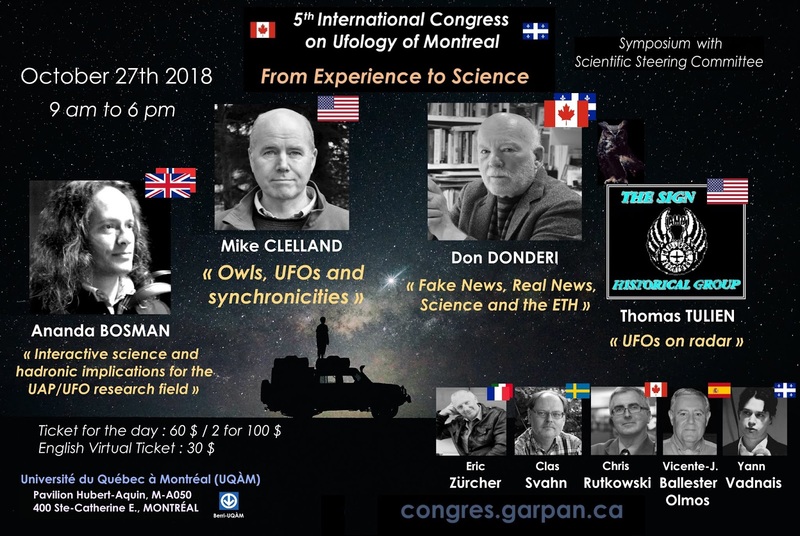 Se trata de Tobias Lindgren, el experto en análisis fotográfico de UFO Sweden y del AFU (Archives for the Unexplained: http://www.afu.se/afu2), cuyos trabajos son fidedignos, una condición rara en este campo de investigación nuestro. La crítica que Lindgren ha realizado se encuentra ubicada en la sección en inglés de este blog. Y encaja del todo con mis apreciaciones. (2) “Viten” es como, con su lengua de trapo, mi nieto Lucas ha fundido mi primer nombre de pila. En la foto, hecha en julio en nuestro chalet de La Eliana, a la derecha. Junto a él, Fernando, mi segundo nieto. Y a pesar del desempeño extra de ejercer de abuelo, aún encuentro tiempo para seguir trabajando en esto que tanto nos apasiona. Mi gratitud a los siguientes colegas que han aportado alguna información a la presente edición del blog: Edoardo Russo, Jim Oberg, Tim Printy, Matías Morey, Kay Massingill, Keith Basterfield, Barry Greenwood, Enrique Márquez, Philip Mantle, Pierre Lagrange, John Derr, Tobias Lindgren, Sergey Chernouss e Isaac Koi.